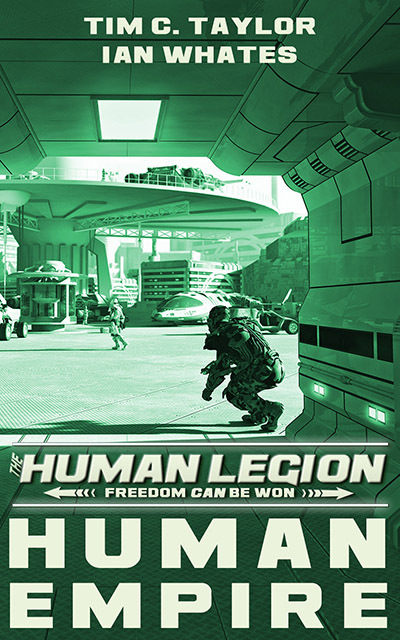 With over 350 5-star reviews and nearly 60,000 sales, join the Legion today! You’re human. Weak. Despised. There is only one way to earn respect: to fight and win… a Human Empire. Five centuries ago, Earth sold a million children into slavery. This is their descendants’ story of the fight for humanity everywhere. 2569 A.D. Battered but not beaten, the Human Legion follows the trail set for them by the mysterious Night Hummers in their quest for allies and assets. But first the Legion has changed and must ask itself anew: What is the Legion for? Who shall be its leader? In the fourth of the bestselling six-book series, journey to distant planets, experience holy war, hatred, and distorted love as the Human Legion attempts to carve out its own empire amidst the chaos of civil war. Human Empire is the first in the Human Legion series to be co-written by Tim C. Taylor, and Ian Whates, who recently went all the way to #1 in the Amazon science fiction book charts with his space opera novel, Pelquin’s Comet.